SailGP is sailing redefined - an annual, global sports championship featuring bold, cutting-edge technology and awe-inspiring athleticism. The fan-centric, inshore racing takes place in some of the most iconic harbours around the globe – including the Cowes event with racing in the Solent - and culminates with a $1 million winner-takes-all match race in Marseilles. The thrilling SailGP series combines stadium fleet racing and match racing with short, sharp courses and hi-tech augmented reality to ensure SailGP is the most gripping spectacle in yachting. The format will ensure very competitive, high speed, close quarters sailing with multiple lead changes, penalties and nail biting moments! The tour sees events in Sydney, San Francisco, New York, Cowes and Marseille. The British stage of SailGP is set during the first weekend of Lendy Cowes Week, using the Solent as its racetrack. Rival national teams from Australia, China, France, Great Britain, Japan and the United States battle it out in identical supercharged F50 catamarans, engineered for intense racing at electrifying speeds exceeding 50 knots (nearly 60 mph/100 kph). Visit SailGP.com for more information. Solent Events is an Official Charter Partner to Cowes SailGP and can offer exclusive viewing access to this amazing event on 10th and 11th August. All of our charters will carry an exclusive SailGP access flag and will be placed in an inner perimeter viewing area to get closer to the action. We have a variety of on water experiences to offer from rib charters to larger motorboats for up to 30 guests so get in touch and we can tailor the best package to suit your needs. 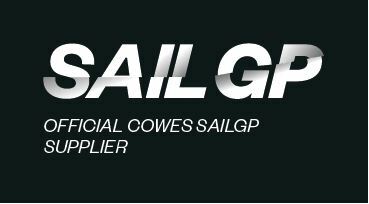 Solent Events is proud to be partnered with the iconic Royal Ocean Racing Club. Our Cowes Week VIP hospitality area will located in their prestigious clubhouse with spectacular views over the Solent and only a few minutes' walk from the SailGP race village. Spectating can be taken onto the water in one of our Rib powerboats which will allow your group to get as close as possible to the action – chartered exclusively to you for the day, a skippered Rib will give you complete freedom to dip in and out of spectating while also seeing what Cowes and the wider Solent has to offer. Enjoy on the water hospitality on board a large luxury sailing yacht or powerboat - sip a G&T while watching the action.